In the summer of 2003, Claudio Ranieri brought Claude Makelele to Chelsea for 16.8 million, suggesting he would be the ‘battery’ of the side – and as it happened, he was right. 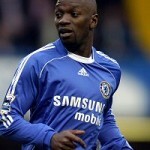 In fact, for the next five years, Makelele was to establish himself as such a legend at Stamford Bridge and the Premier League, he even had the role named after him. 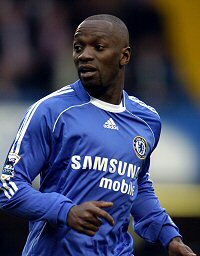 During his time at Chelsea, Makelele was to be one of our most influential players yet just like his time at Real Madrid, he was often an unsung hero. Personally though, I bloody loved him and couldn’t sing his praises often enough. Anyway, his Chelsea career came to an end in the summer of 2008 when he moved to PSG at the age of 34 and Sunday, at the age of 38, Claude Makelele hung up his boots for the last time. The Chelsea Blog would like to thank him for the five years he gave Chelsea and wishes him all the best whatever he does in the future. A true legend….good luck fella….the type of player we need so badly..
.I would like to see Luiz in that role. As for Maka, well he is what we miss the most…..love him! One of my alltime favorite Chelsea players, maybe even my favorite full stop. I would love to have him back in a role as assistant manager.